The Zionist Organization of America (ZOA) and its President Morton Klein are proud and pleased to announce that it was through ZOA’s and Mr. Klein’s efforts, including Mr. Klein’s numerous, exhaustive and round​-​the​-​clock meetings in Doha, Qatar, with the Emir and other top Qatari officials​,​ and follow-up discussions,​ that Qatar agreed to cancel and not allow the release of a viciously anti-Semitic Al Jazeera “undercover” film series on the so-called “American Jewish lobby.” (Al Jazeera is a Qatar-based media outlet funded by Qatar)It was expected that the film series (scheduled to run in February) would have been the American version of Al Jazeera’s 4-part “undercover” film series on the “Jewish lobby” in Britain. In that film series, Al Jazeera misleadingly portrayed Israeli and British Jewish groups’ legitimate efforts to combat anti-Semitic boycott, divestment and sanctions (BDS), as something nefarious. According to reports, the targets of the Al Jazeera American film series would have included entities and/or officials of Israel’s Ministry of Strategic Affairs, the Foundation for Defense of Democracies, AIPAC, the American Jewish Committee, and the ZOA. The ZOA will continue pressing Qatari officials, to whom ZOA now has access, to take important additional steps, including ending official statements and Al Jazeera propaganda falsehoods that promote hatred, violence and demonization of Israel and Jews. In addition to stopping the anti-Semitic Al Jazeera series, ZOA President Klein’s meetings in Qatar also resulted, after a two-hour meeting with the Emir in his palace, ​in Qatar agreeing to remove anti-Semitic books from the Doha book fair. The Fair is an important annual cultural event, where hundreds of publishing houses representing 29 Arab and foreign countries exhibit their publications; which are then purchased by school systems, libraries and bookstores from throughout the Middle East and the world. The 2017 Doha book fair had almost 24,000 individual and almost 10,000 “professional” (libraries, bookstores, etc.) visitors, according to the International Publishers’ Association. In 2022, the Doha book fair will be held in conjunction with the World Cup, resulting in more attendees than ever. The Simon Wiesenthal Centre-Europe has expressed alarm for years about the previous anti-Semitic offerings at the Doha book fair. 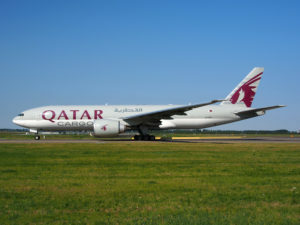 ZOA incorporated information from the Wiesenthal’s Centre into the extensive report presented by Mr. Klein to Qatari officials, in January, demanding changes. Mr. Klein was first invited to meet with Qatari officials in September 2017, but turned down the invitation due to concerns about Qatari actions and the potential that ZOA’s Klein’s visit could be used for propaganda purposes. Mr. Klein received repeated invitations over the next few months from the Emir’s agents, who advised him that Qatar wants to change, wants to stop funding terrorism, and wants to become a better country. At the end of October, U.S. Treasury Secretary Steven Mnuchin announced increased Qatari-US cooperation in combating terrorism financing. Qatar announced that Israeli athletes were welcome to participate in its sports events unlike other Arab countries, (the 2020 World Cup being held in Qatar) and Israel sent its handball, volleyball teams and an Israeli tennis player to participate in tournaments in Qatar. After Israeli athletes won a bronze medal, Qatari officials and the Israeli athletes posed for a picture, which was released publicly. In addition, throughout the fall, other top pro-Israel leaders met with Qatari officials, including Conference of Presidents of Major American Jewish Organizations CEO Malcolm Hoenlein, the Orthodox Union’s Rabbi Menachem Genack, pro-Israel radio personality John Batchelor, American Jewish Congress President Jack Rosen, and Religious Zionists of America President Martin Oliner; and Harvard Law School Professor Alan Dershowitz and Governor Mike Huckabee planned and did visit in January – thereby minimizing the possibility that a visit by Mr. Klein would provide a significant propaganda boost to Qatar. At that point, ZOA and Mr. Klein finally decided that the significant potential upside of meetings with Qatari officials and fighting on behalf of the Jewish people in Qatar outweighed the minimal potential downside. (I also decided to come to Qatar armed with a 50 page research document detailing all of ZOA’s concerns about Qatar policies and our strong recommendations. )Indeed, throughout history, Jewish leaders and leading Rabbis have met with hostile leaders on behalf of the Jewish people. However, Qatar does need to do much more. The ZOA will continue pressing Qatari officials, to whom ZOA now has access, to take important additional steps, including ending official statements and Al Jazeera propaganda falsehoods that promote hatred, violence and demonization of Israel and Jews. 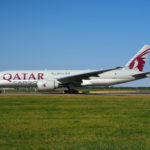 ZOA’s previous extensive report also described other important steps that Mort Klein raised that Qatar needs to take​,​ including​: reopen the Qatari trade office in Israel which Qatar had in the past; establish relations with Israel; publicly condemn Hamas, Hezbollah; the Muslim Brotherhood and Al Qaeda as terror groups; clearly prove ​Qatar’s stated position that they no longer provide funding to terror groups; reject all known terror leaders who have been residing in Qatar; and work to obtain the return of Israeli bodies and kidnapped Israelis held by Hamas. In an encouraging step this week, former Qatari Prime Minister Hamad bin Jassim bin Jaber Al Thani tweeted “Israelis have a right to live in their land in peace and safety, this is my conviction. I’ve had this conviction for many long years, and I still do​.​” Former PM Hamad Al Thani wrote this in Arabic, which added to its significance. ZOA hopes the Emir and other Qatari officials will ​also​ acknowledge and publicly state this simple but long Arab-avoided truth.